Stop what you are doing because there is a new gourmet popcorn in town and goes by the name of Pop Works & Company. I have only seen two flavours available so you can imagine my surprise when I spotted Pop Works & Company Peanut Butter & Caramel! There is no hiding the peanut butter from me. I will find it and I will eat it! 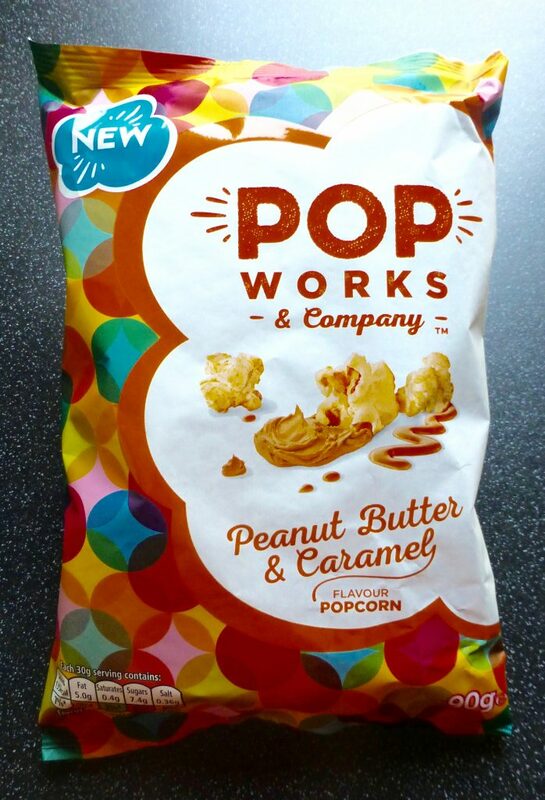 PepsiCo have decided that the time is right to launch Pop Works popcorn here in the UK and have rolled out 4 ‘over the top’ flavours – Apple Pie, Salty & Sweet, Sticky Toffee Pudding and today’s namesake Peanut Butter & Caramel. I must say I am pleasantly surprised to see their initial flavours having gone for flavours that are going to catch your eye rather than your standard flavours. Having a little spy on the American flavours on offer I do hope that they hop on over here particularly the Birthday Cake & Cookies and Cream. I picked up this 90g bag for £1.00 in Asda which is a very good price for a gourmet-esque popcorn if you ask me. 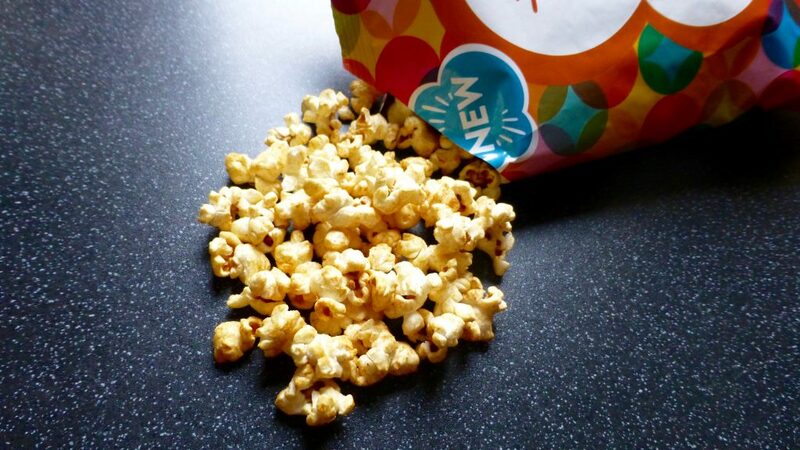 Unlike some popcorn that uses a hot air popper, this uses a wet popping method whereby the kernels are popped in a kettle to ensure it is light and crunchy. Giving these a good sniff you could certainly smell the caramel but oddly it also smelt a bit like cheesey popcorn which was a little odd to say the least. I half except glisteningly sticky popcorn however it is a dusting on the kernels rather than a proper coating. Throwing a handful of crunchy popcorn in the sweetness was evident with a richer flavour coming from the caramel. There was a slight undertone of nuttiness but slight being the operative word. Peanut Butter is sadly not detectable and on a blind taste test there is no way you will come up with Peanut Butter & Caramel popcorn. I cannot help but feel utterly let down by this Pop Works & Company Peanut Butter & Caramel. My excited hands in the air dance in Asda was all for nothing because these really do not hit the mark and do not hold any peanut butter flavour. I cannot fault the popcorn itself, it was incredibly light and popped to perfection but that is not enough to save it from the chopping block. 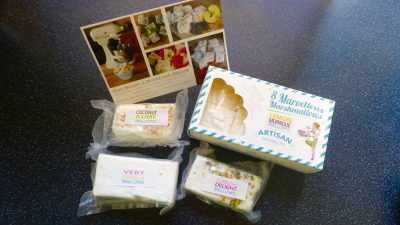 I’ve just tried these too but all I coul smell and taste was butter. 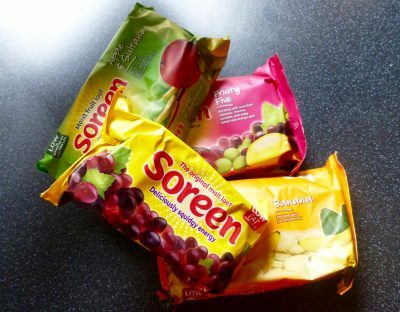 I felt so sick after a few mouthfuls that I had to throw the whole packet away. I’m already disappointed had such high hopes for this, and I was kind of hoping it would have a toffee coating with peanut butter flavour! I guess proper corn still do the best peanut butter popcorn!